Donald Heirman is president of Don HEIRMAN Consultants, training, standards, and educational electromagnetic compatibility (EMC) consultation corporation. 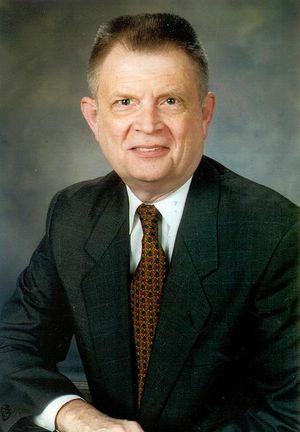 Previously he was with Bell Laboratories for over 30 years in many EMC roles including Manager of Lucent Technologies (Bell Labs) Global Product Compliance Laboratory, which he founded, and where he was in charge of the Corporation’s major EMC and regulatory test facility and its participation in ANSI accredited standards and international EMC standardization committees. He chairs, or is a principal contributor to, US and international EMC standards organizations including ANSI ASC C63® (chairman), the Institute of Electrical and Electronics Engineers, and the International Electrotechnical Commission’s (IEC) International Special Committee on Radio Interference (CISPR) where in October 2007 he was named the chair of CISPR moving from he previous role as its subcommittee A chairman responsible for CISPR Publication 16. He is a member of the IEC’s Advisory Committee on EMC (ACEC) and the Technical Management Committee of the US National Committee of the IEC. In November 2008 he was presented with the prestigious IEC Lord Kelvin award at the IEC General Meeting in Sao Paulo, Brazil. This is the highest award in the IEC and recognizes Don’s many contributions to global electrotechnical standardization in the field of EMC. He is a life Fellow of the IEEE and a life member of the IEEE EMC Society (EMCS) and member of its Board of Directors, chair of its technical committee on EMC measurements, past EMCS president, newly elected vice president for standards, and past chair of its standards development committee. He is also past president of the National Cooperation for Laboratory Accreditation (NACLA). He is also past president of the IEEE Standards Association (SA), past member of the SA Board of Governors and past member of the IEEE’s Board of Directors and Executive Committee. He is also the Associate Director for Wireless EMC at the University of Oklahoma Center for the Study of Wireless EMC. He has presented numerous workshops, tutorials, and technical papers internationally and is listed in several Who’s Who publications. He is a retired Commander in the US Navy. He was awarded the 2018 IEEE Richard M. Emberson Award. Don Heirman has long been interested and involved in promoting the engineering profession to young people. In 2010 he produced a video about the trajectory of his career, "A Professional Life," that focuses on his standards activities but that can serve as a role model for you engineers and pre-engineers everywhere and in all fields. This page was last edited on 28 February 2019, at 19:21.